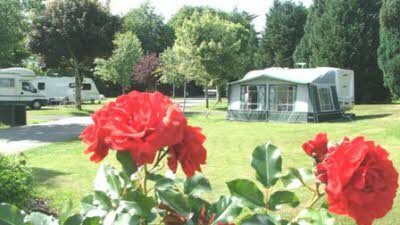 This peaceful and relaxing site set on the banks of the River Flesk is a perfect base for those looking to explore the local area and experience some of Ireland’s beautiful landscapes. 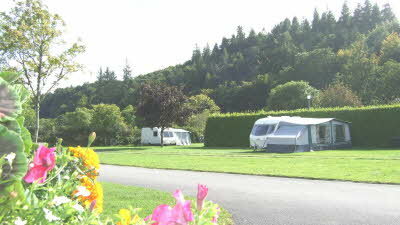 The site is lush and green with shrubbery providing plenty of shade and some privacy on pitches. 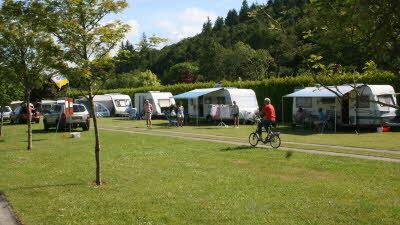 The well-maintained facilities include an onsite shop that provides essentials, and a games room for children. The attentive owners are always willing to go the extra mile to accommodate guests and even provide some organised activities for kids in the summer. Nearby Killarney is a short walk from the site and has lots of traditional pubs offering good food and great music in the evenings. 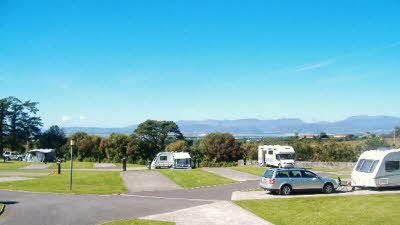 Other must-see attractions include the lakes of Killarney National Park, the Ring of Kerry and the Dingle peninsula. Killarney Lake District, Muckross House, Ross Castle, Torc Waterfall, Ross Castle, Killarney leisure centre, Trekking Centre, Restaurants, Pubs, Bars, Golf, Walking trails, Fishing, Horse riding, Swimming pool. 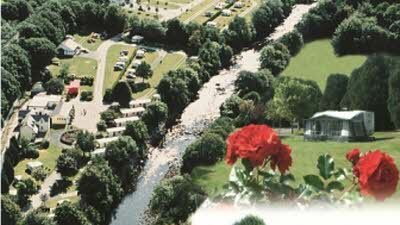 Approximately 1 mile south-east of Killarney town centre. From Cork take the N22 and at Cork-Mallow junction (N22/N72) continue towards Killarney. Take the next left turn (signposted), approximately 1 mile east of Killarney, continue for 300 meters under bridge, entrance on left. From Limerick/Dublin follow N22 (east) Cork road at all roundabouts. After passing Super Valu and the Killarney Heights Hotel take the 1st right turn (signposted) and continue for 300 meters under bridge, entrance on left. 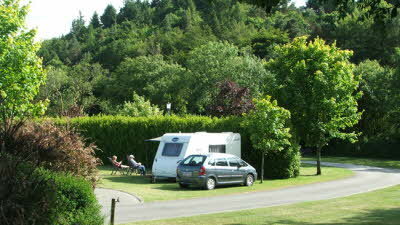 We found this to be an excellent site - warm welcome, helpful staff and a great location. 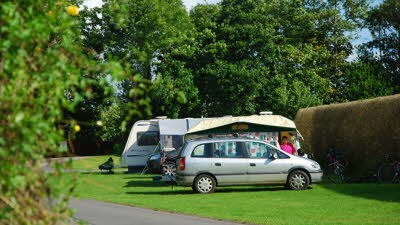 We chose a hardstanding pitch (which had individual drainage - an unexpected bonus). 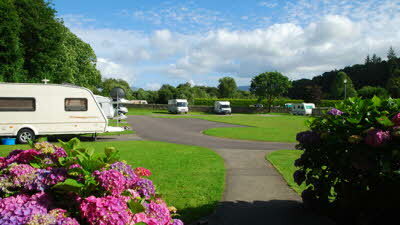 The pitch was angled, which somehow resulted in having a spacious grassed ‘living’ area, despite actually being lined up along the main driveway into the site. The toilet block near us was immaculately clean, spacious and modern. Showers cost €1, and WiFi was free (but not very strong). It was a pleasant walk into Killarney, which was bustling and traditional, with ‘jaunting cars’, buskers and Irish dancers, and lots of great shops, cafes, restaurants and pubs. We spent our one full day at this site cycling round the lakes in Killarney National Park - this was a fantastic day and definitely to be recommended. Beautiful scenery, lakes, beaches, a waterfall, an abbey and tame deer were just a few of the attractions we experienced there. If you don’t have your own bicycle, I think you can hire them from the site or from a cycle hire shop on the main road/cycle path to the National Park. If we return to Ireland, we are very likely to go back to this site, and next time we will certainly spend more than two nights there. 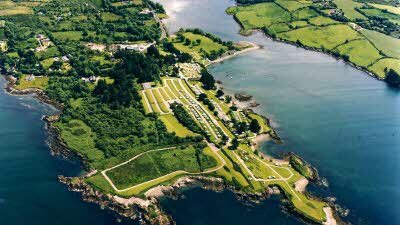 It's where it is that matters- just on the outskirts of the beautiful town of Kilarney with easy access towards the Ring of Kerry. Muckross house and gardens in the lovely park is a must. As for the site itself, it offers a variety of pitching locations but few are hard standings. My only criticism is that pitches are not marked and so another unit can pitch up uncomfortably Close. We would happily return! I'm pretty new to this Camper Van game so not too experienced. This place is the best all round that I've encountered so far in both the UK and Ireland. Nice level pitches, good, clean facilities, easy walk to a good supermarket, nice, easy stroll into Killarney with it's bars and restaurants and best of all kind, helpful staff that go the extra mile. Great place! Staff at Flemings where more than helpful and went out of their way to help. Facilities where super clean and tidy and modern, We would go back again. Site was peaceful and quite perfect for relaxing. Spent two weeks at this lovely site. 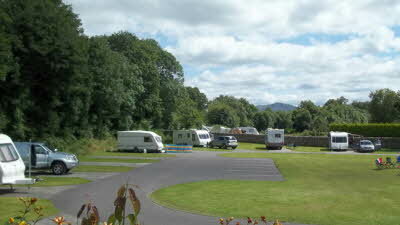 Ideal for Killarney and surrounding area. Lots of good walks. 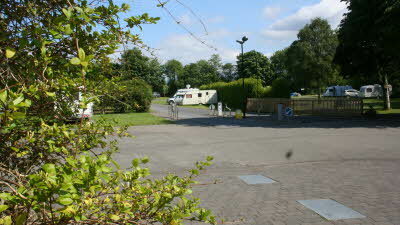 Very clean and quiet site with very friendly and helpful staff. Would definitely recommend and stay again. ? ?